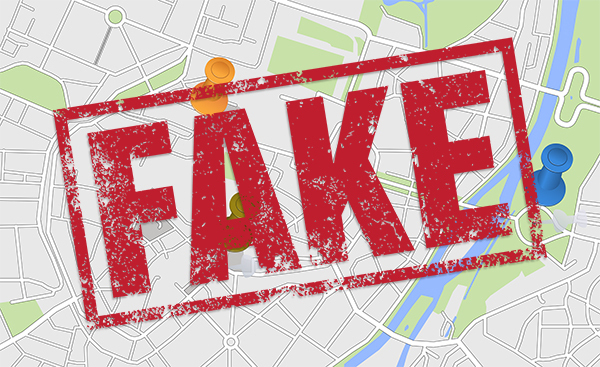 Google has had a problem with fraudsters and fake listings in its Maps feature for years. Scammers might use ever-rotating phone numbers and false addresses for totally bogus businesses to trick Google into listing them as a real business. While that’s worrying enough, there’s something that’s even more worrying to business owners that’s happening in a small-but-significant number of cases. There are fraudsters that claim listings for real, existing businesses in Maps and then set themselves up to pose as the real thing. At times, there have even been unethical businesses claiming their competitors’ listings and sabotaging them. Imagine the impact on your business if someone falsely marked it as “permanently closed” or changed your listed hours! The good news, though, is that these kinds of scams aren’t happening anywhere near as often as they used to—and Google has recently made it even easier to report fraud in Maps. Google has taken big steps to weed out bad information in Maps. The search engine giant has improved its business-verification process, anti-spam algorithm, and other actions with fraud reduction in mind, and that has been very successful. Google reports that it has reduced the incidence of fake listings by 70 percent since 2015, and it now catches 85 percent of fakes before they are ever seen by the public. While all that is a significant improvement, the war on fake information in Maps hasn’t stopped yet. Google recently announced that there is another way to combat bad listings, and it’s as easy as filling out a report form. If you find misleading or fake information in Maps, you can submit a complaint to Google through its Business Redressal Complaint Form. You’ll receive a form response when you make a submission, but you will not get follow-up updates on any action taken (since you aren’t the owner of the listing). Keep in mind that this is NOT the place to report inaccurate or incomplete information for a business. The Business Redressal Complaint Form should only be used to report potentially fraudulent activity in Maps that harms customers or businesses. If you just need to report a business that has moved, closed down, or is showing inaccurate information, you can go through these steps to report it to Google. If you have questions about your law firm’s Google Maps listings, or if you need guidance through updating or claiming your business listing, you can always reach out to our team at 888.886.0939.